Reptile systematics is currently primarily supported by genetic evidence, which has brought numbers of cases of taxonomic reconsiderations within the last years. Genetic studies have resulted in taxonomic changes at the subspecific level with many subspecies being synonymized with species, lumped together, or elevated to a species status (see Torstrom et al. 2014 for a review). 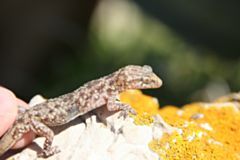 The reptile fauna of Europe ranks among the best studied in the world in terms of taxonomy, yet it still includes taxa whose original descriptions were based on insufficient morphological diagnoses and the status of which should be reassessed by integrating genetic methods. One such case is provided here.